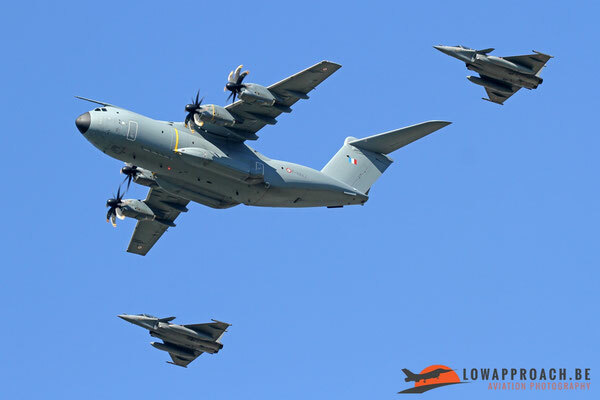 On May 25th, 2017 the NATO members heads of state gathered at Brussels to inaugurate the new NATO Headquarters. 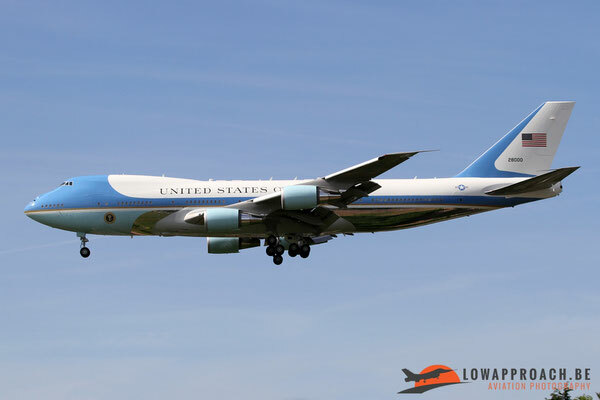 Much attention was given to the arrival and visit of US President Donald Trump the day before in the local press. 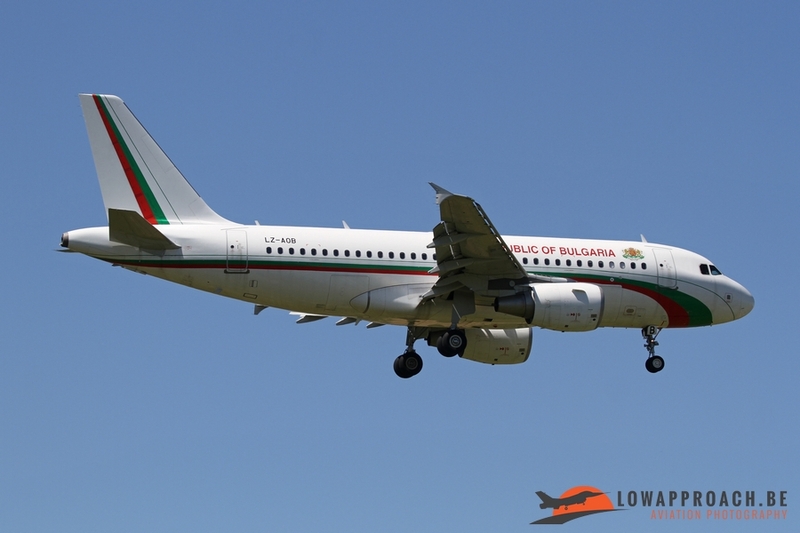 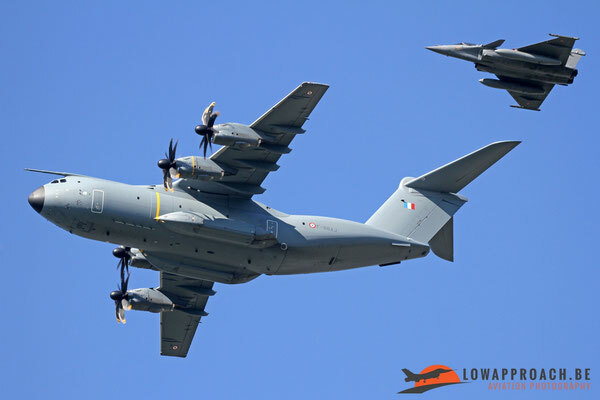 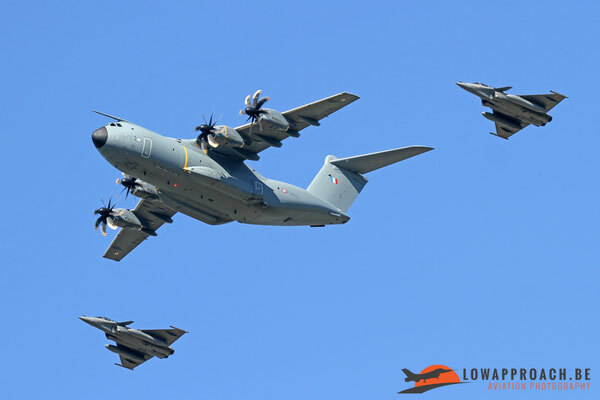 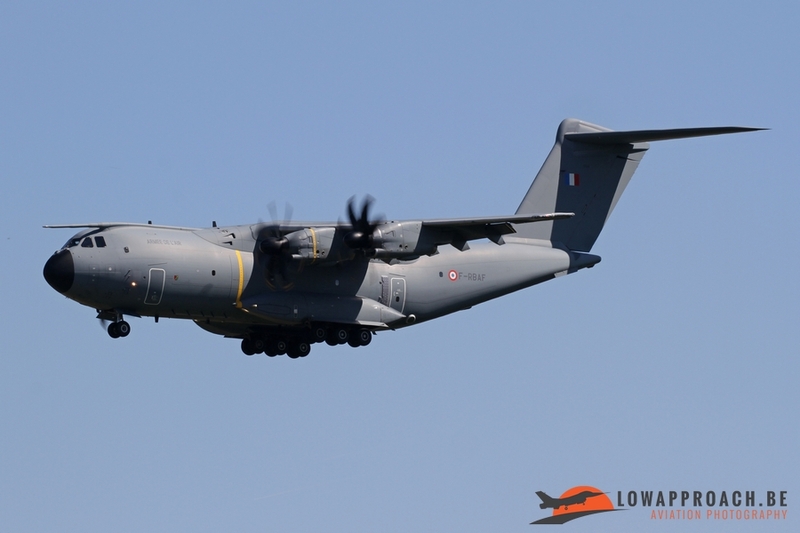 However this ceremony generated a lot more interesting air traffic at Brussels Airport, so we would like to give a short overview of what we saw on May 24th and 25th. 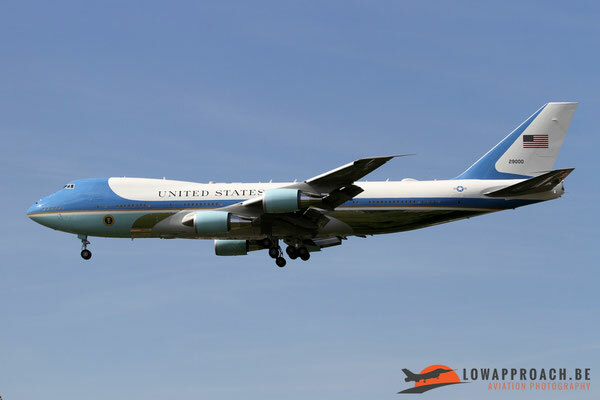 'Headliner' for many spotters was off course the arrival of President Donald Trump on board 'Air Force One'. 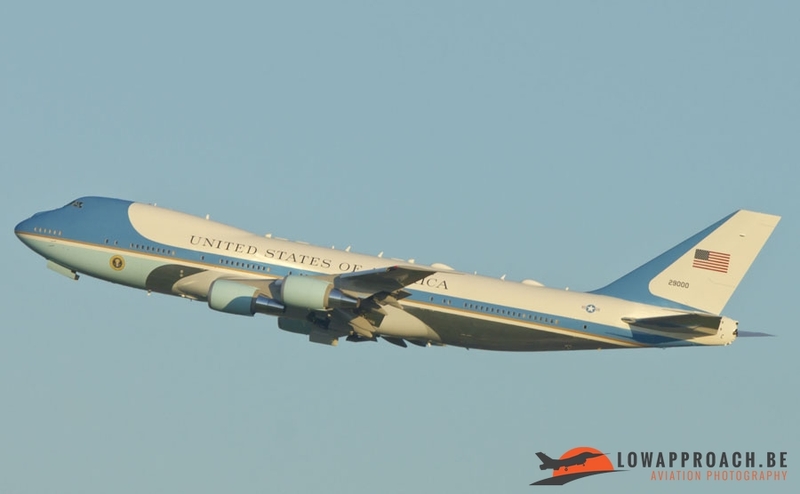 Brussels was the next stop on Trumps' 'Tour of Europe' and he arrived in Brussels after a brief visit to Rome, Italy. The days before it became clear that not only 'Air Force One', but also the identical back up aircraft was in the area. 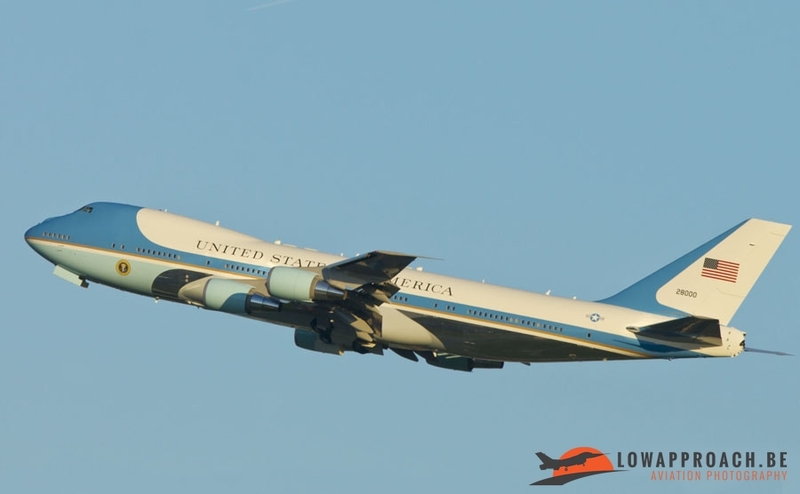 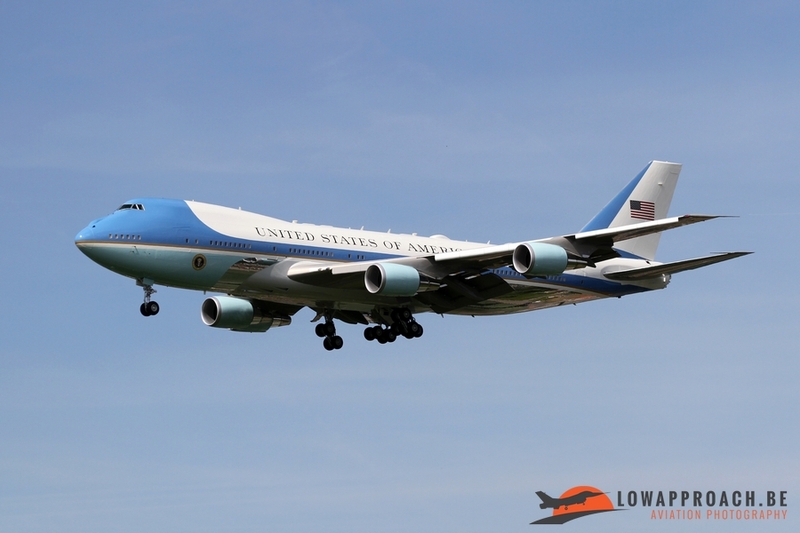 'Air Force One' is in a fact a highly modified Boeing 747-200B, and only two examples of this version are in service with the United States Air Force. 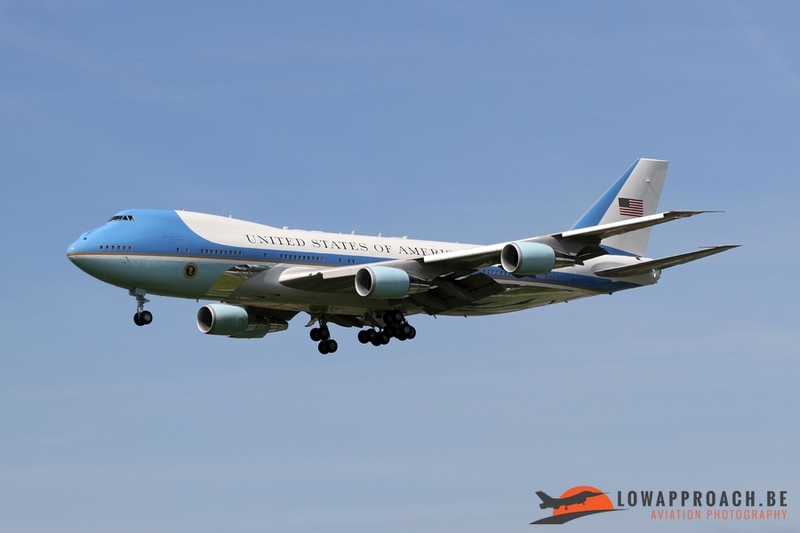 The aircraft are operated by the Presidential Airlift Squadron, part of 89th Airlift Wing at Andrews AFB, Maryland. The first aircraft that landed was 92-9000, callsign 'SAM45' followed about 15 minutes by 82-8000 flying as 'Air Force One'. 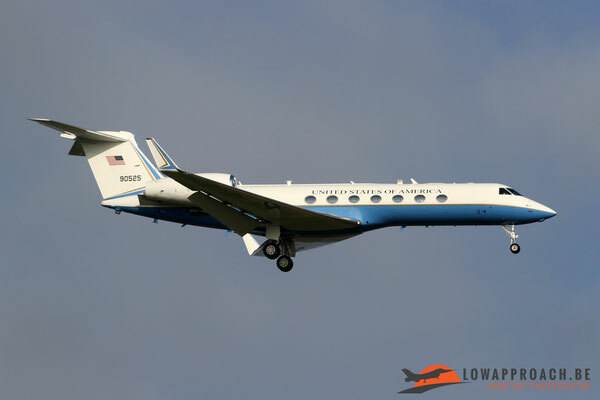 Not many people know that 'any' US Air Force aircraft carrying the president carries the callsign 'Air Force One ', when he flies an aircraft or helicopter from another US military organization the callsign changes to for example 'Marine One' when he flies one of his helicopters, which are operation by the US Marine Corps. 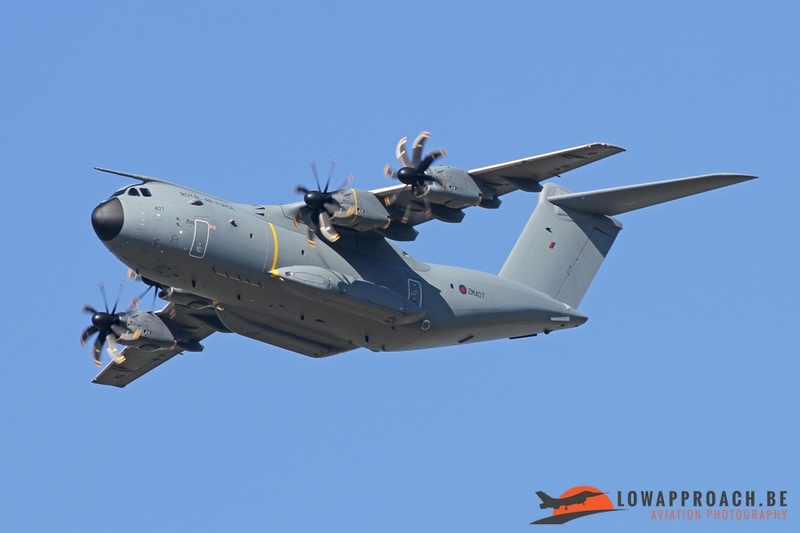 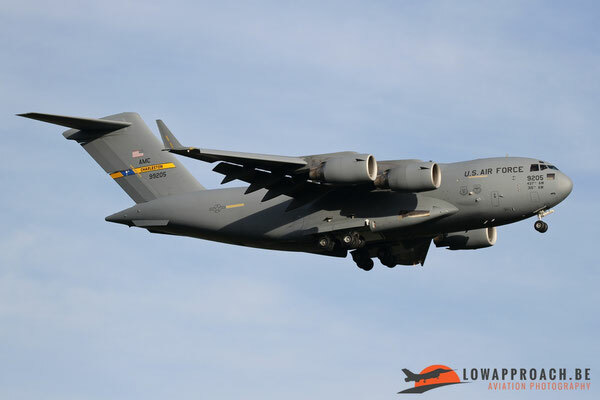 The two VC25A's were not the only aircraft who provided support for this visit, as in the late afternoon of the 24th a Boeing C17A Globemaster, 09-9206, arrived at Brussels, this was the 4th C17A that brought in equipment for the visit. Finally a number of additional VIP-flights also were noted. 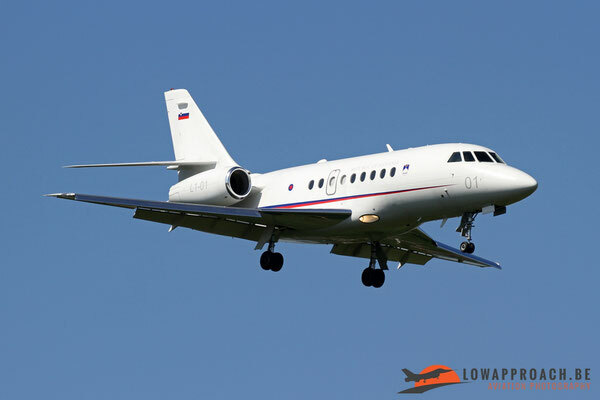 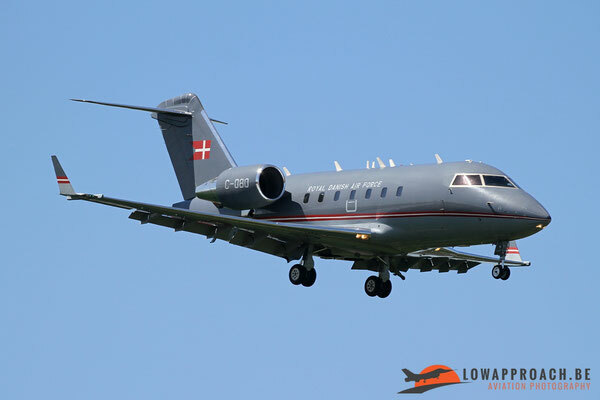 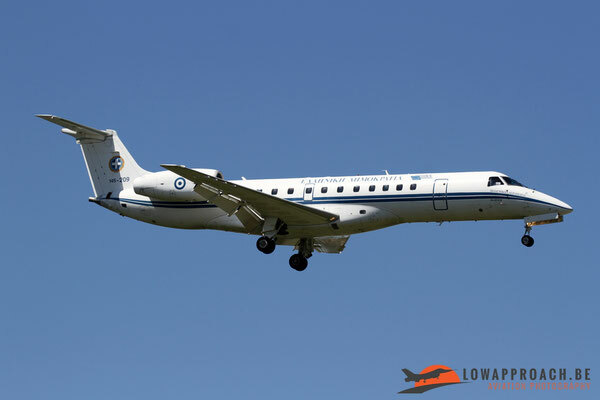 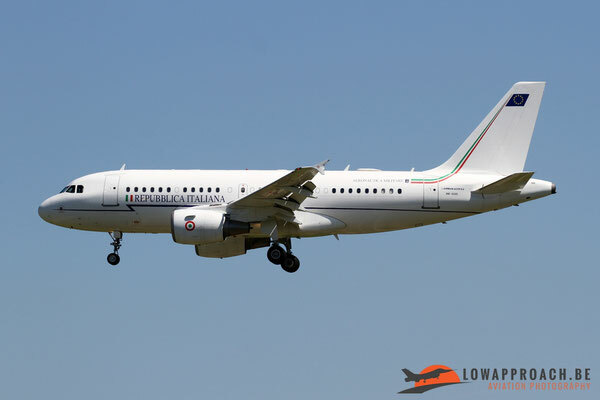 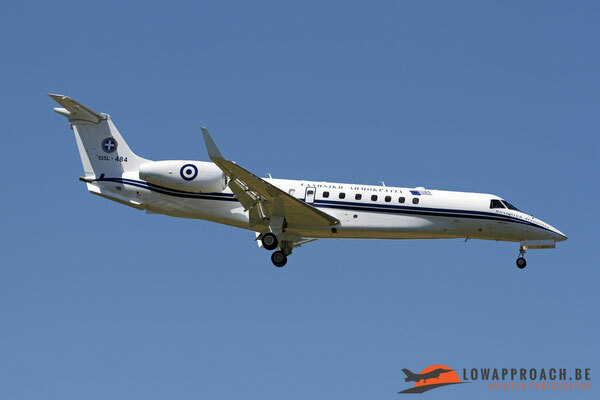 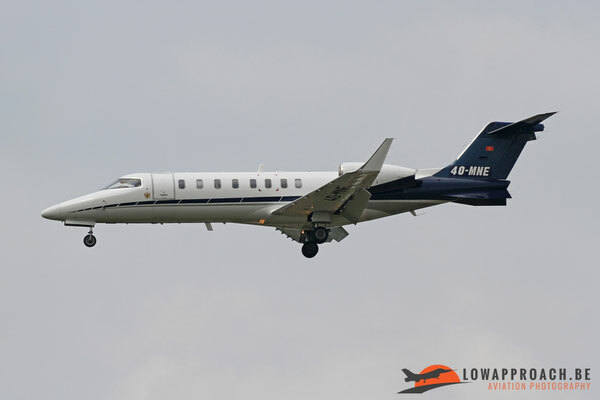 In the early morning of May 25th a Gulfstream C37B, 09-0525, arrived and in the late evening a Boeing C40, 01-0041, was seen departing Brussels. 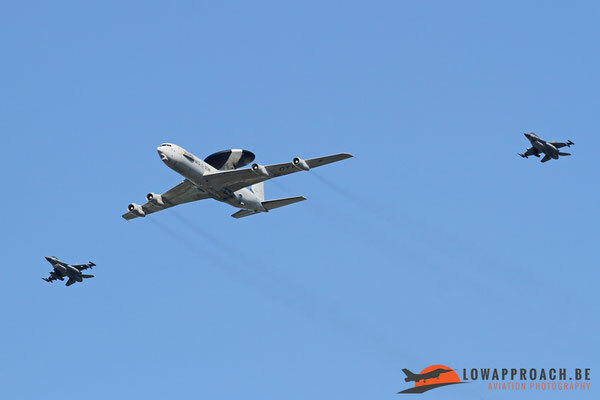 Both aircraft are also part of the 89th Airlift Wing. 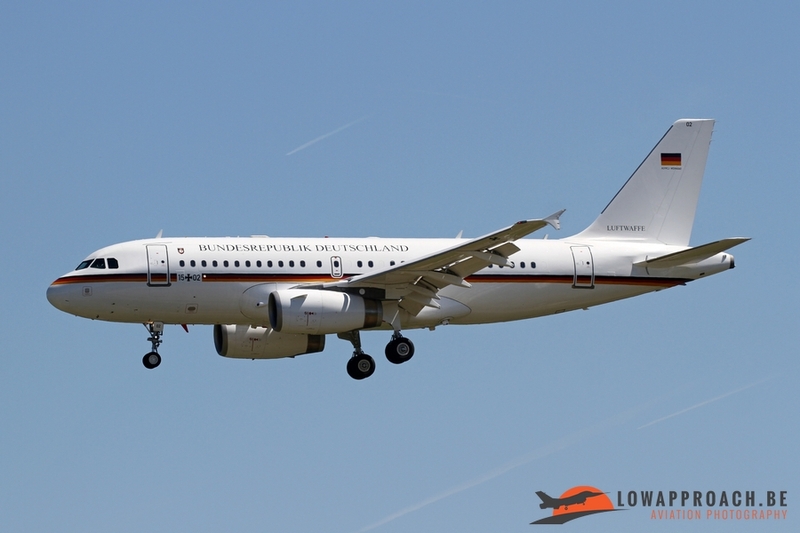 The inauguration also brought a large number of other heads of state to Brussels. 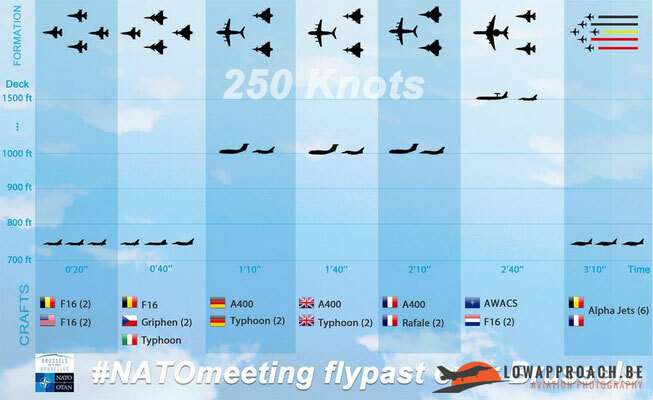 I don't want to discuss them all individually, but here is a list of aircraft that were note during these two days. 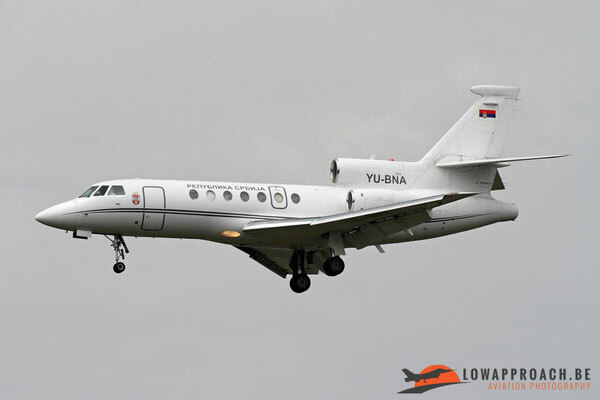 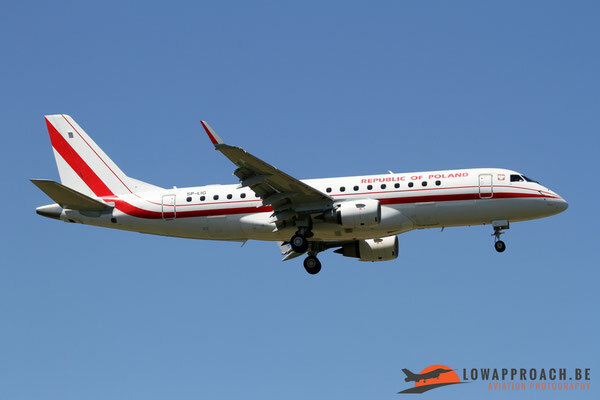 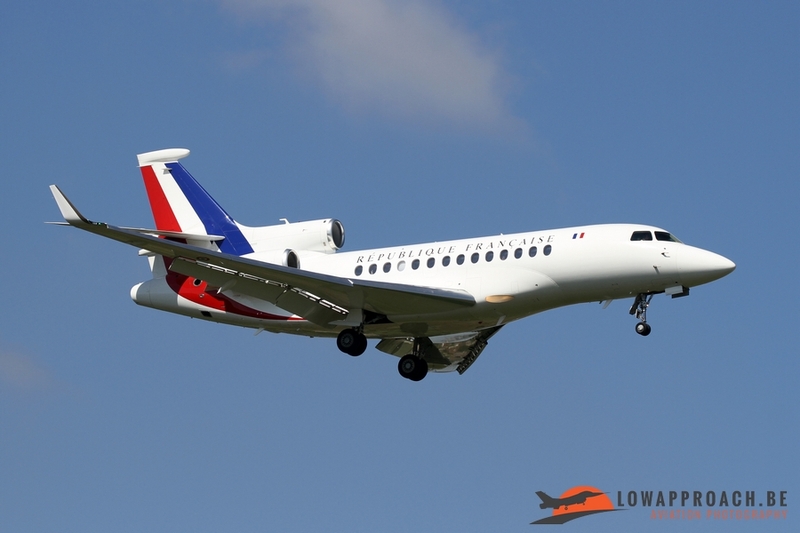 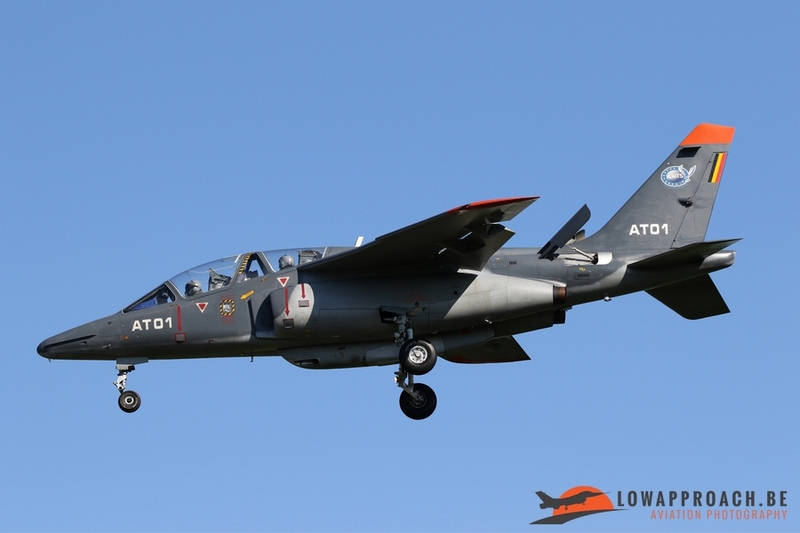 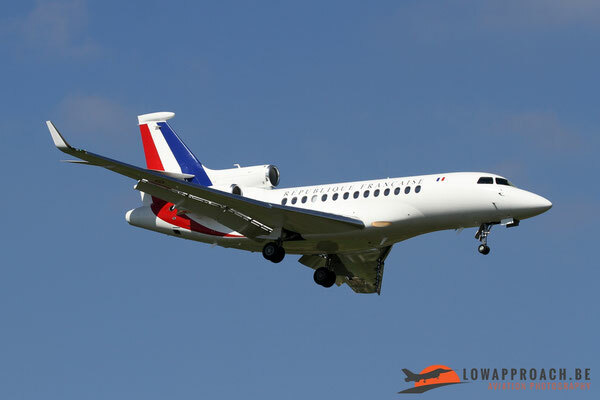 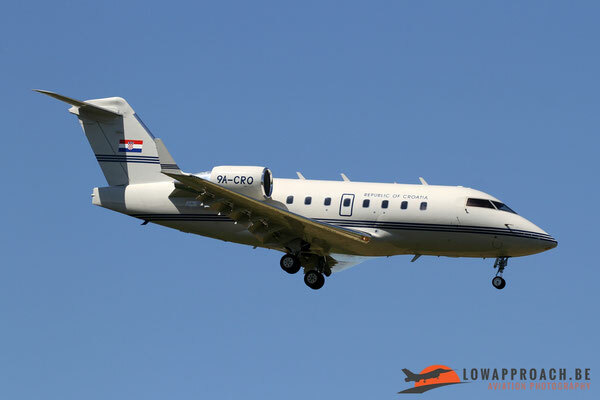 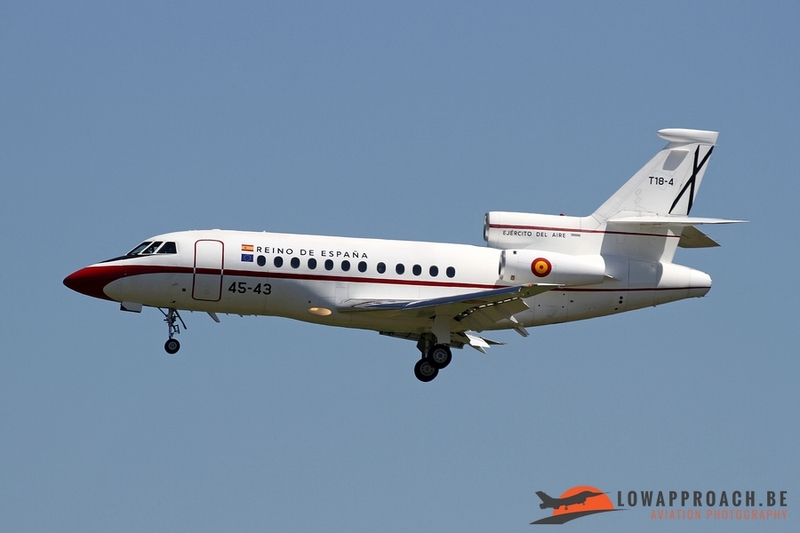 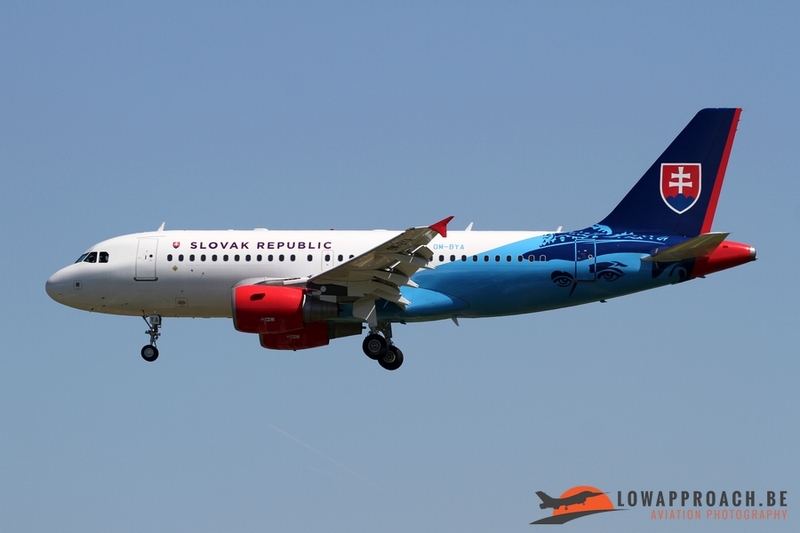 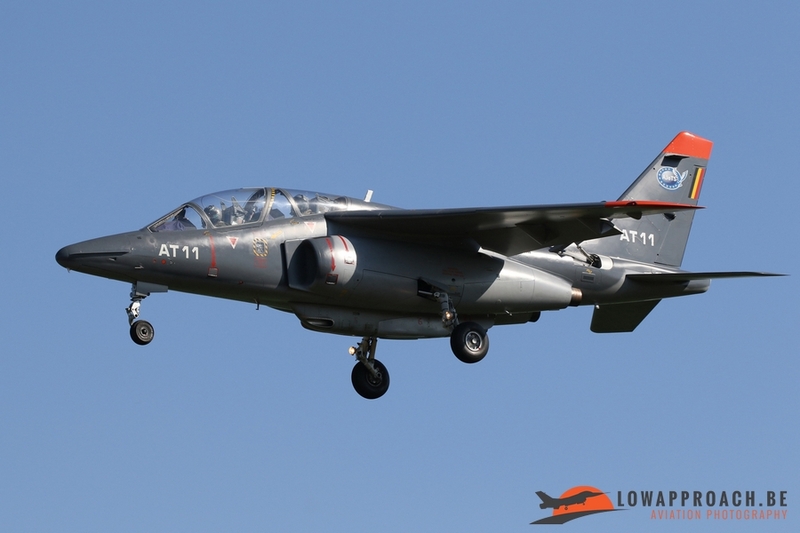 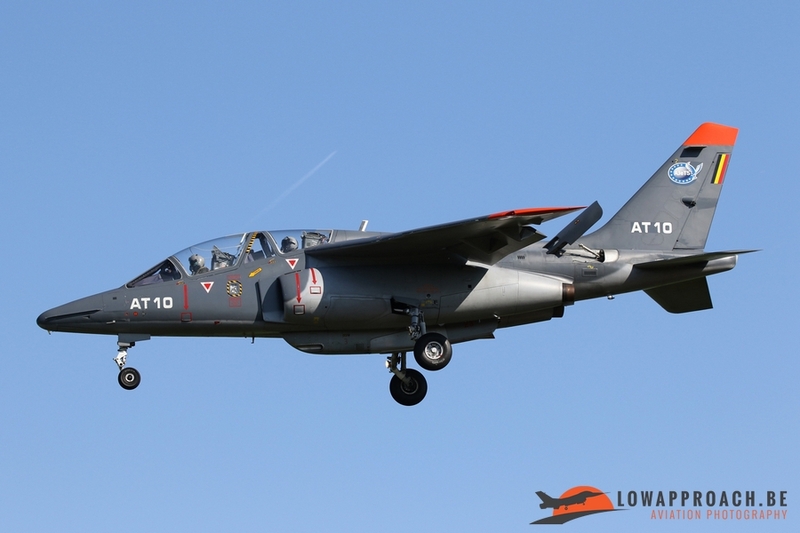 Highlights were amongst other the Learjet Lj45 from Montenegro. 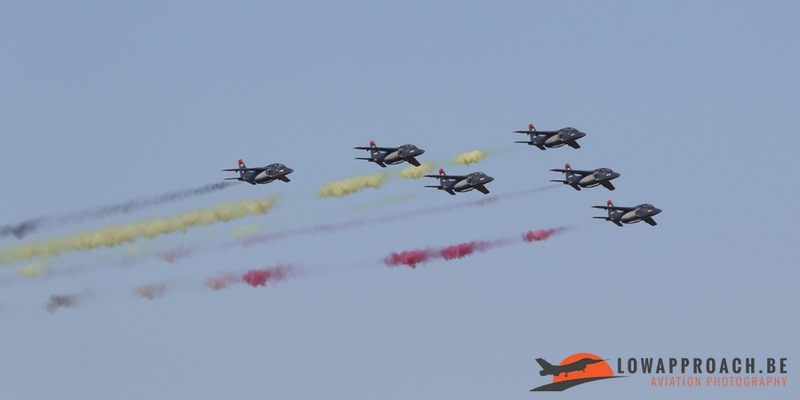 At the time of the inauguration Montenegro was not yet an official NATO-member, they only joined on June 5th. 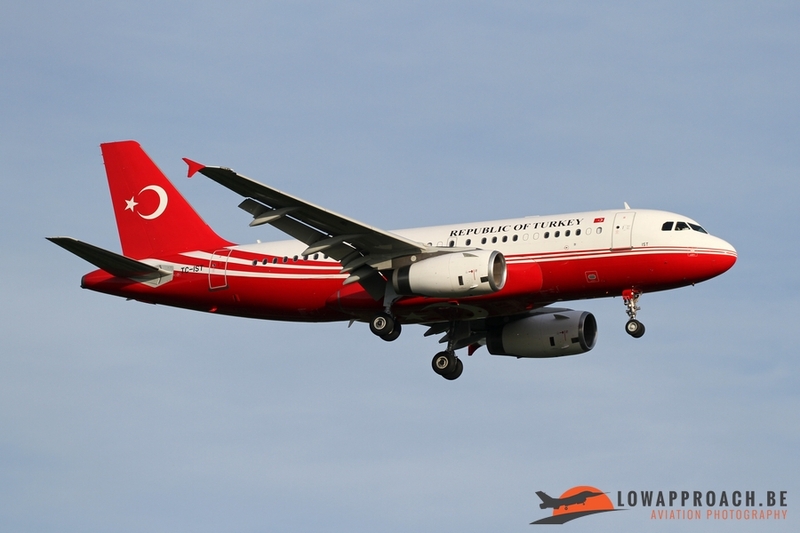 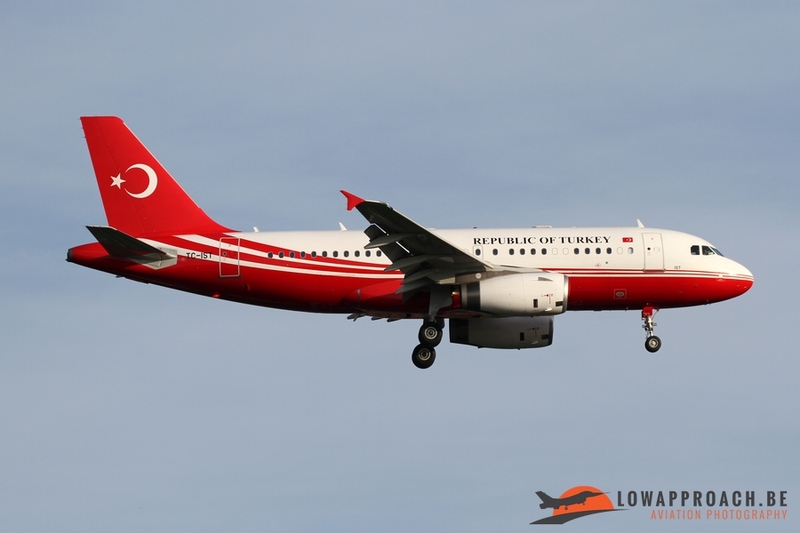 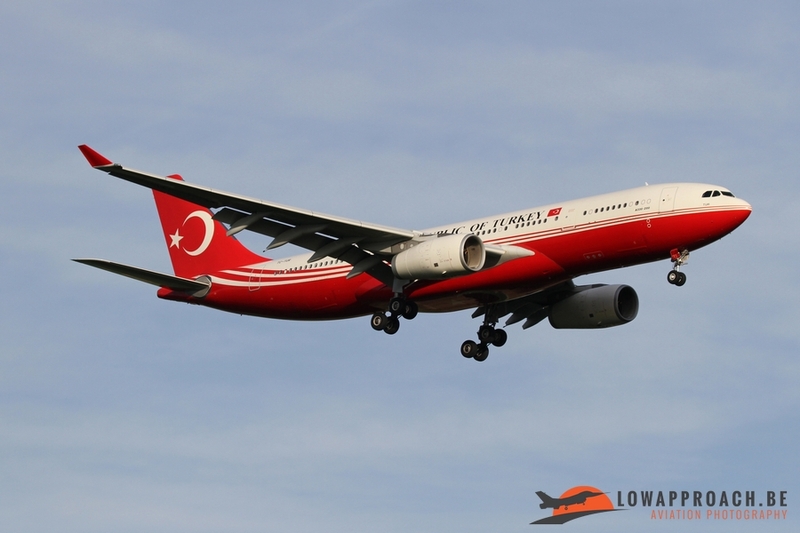 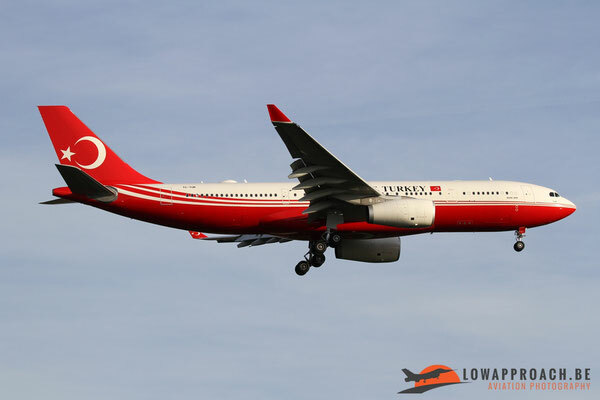 Another impressive and a bit controversial arrival was this of the Turkish president Erdogan on May 24th with two aircraft, a rarely seen Airbus A319 and the unique Airbus A330 in Turkish Government colors. As part of the official inauguration ceremony of the new NATO Headquarters at Evere, Brussels a flyby was organized over the new building. 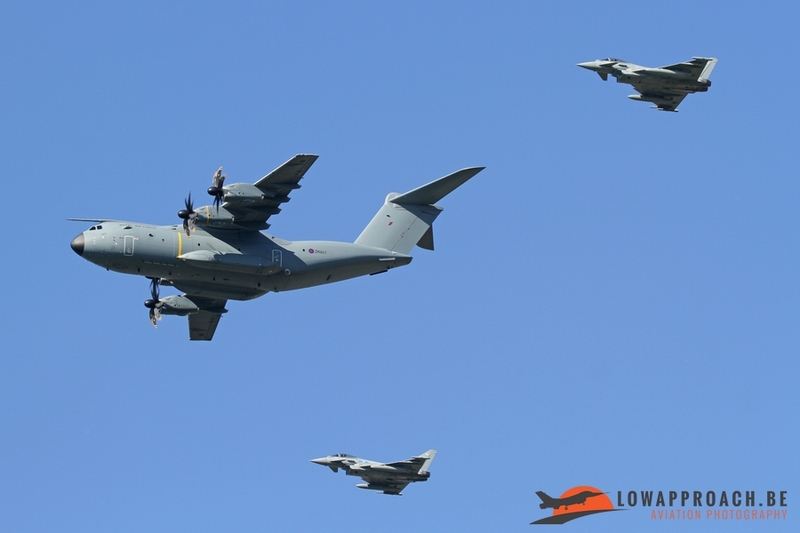 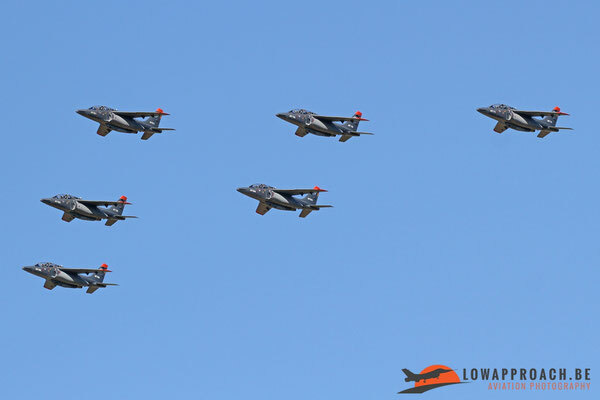 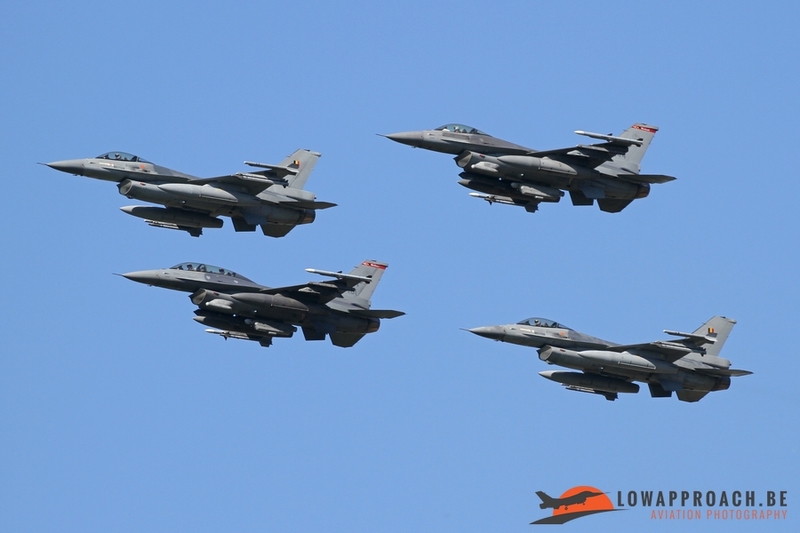 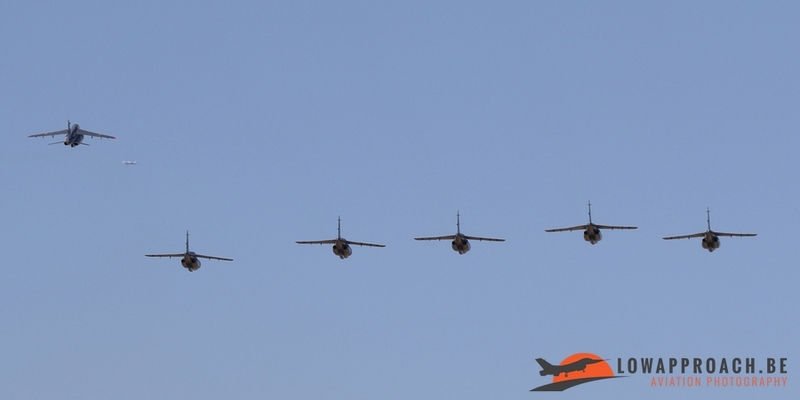 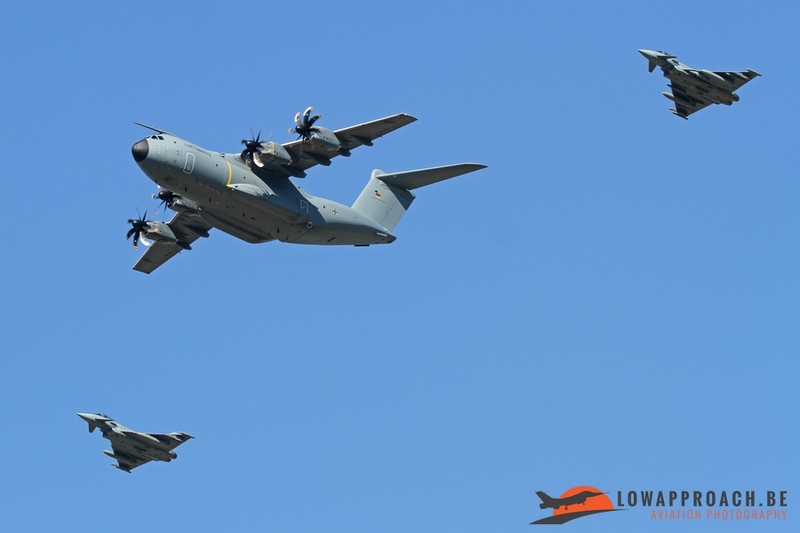 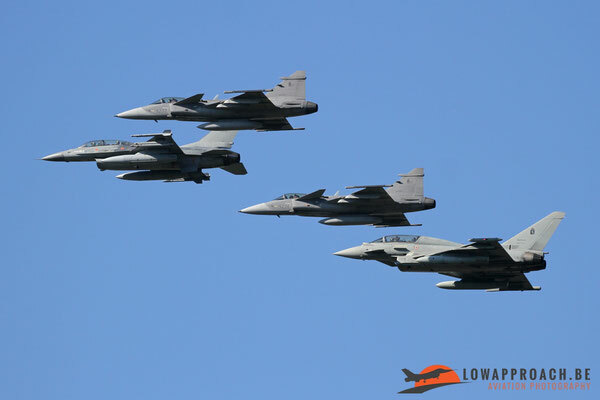 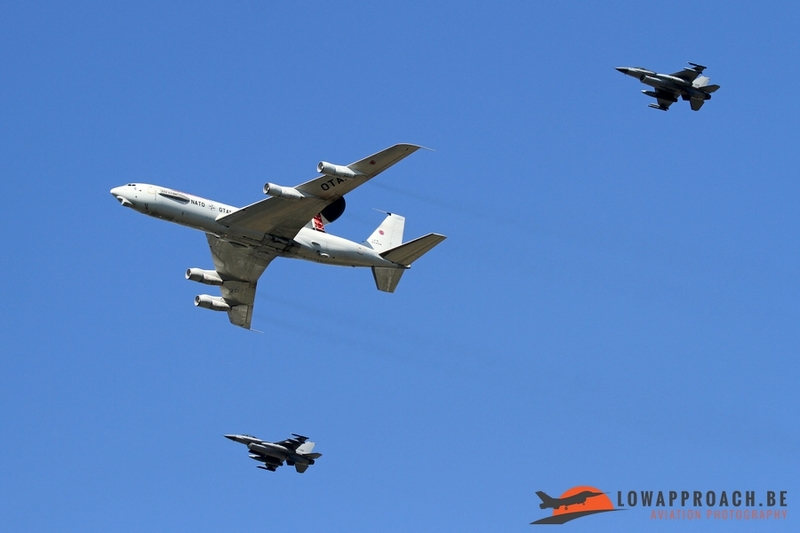 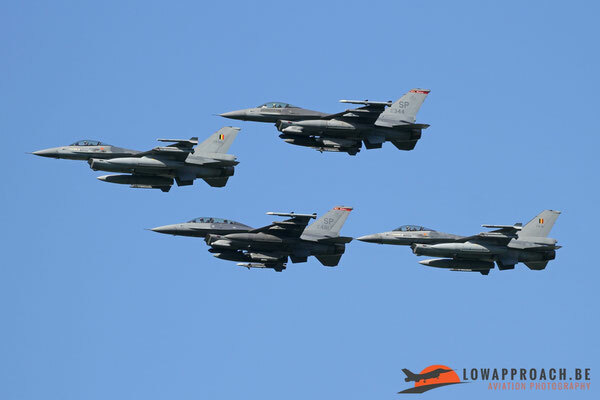 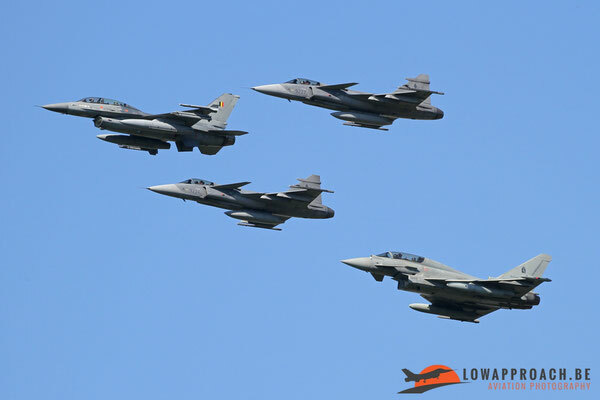 A number of military aircraft from various NATO members performed a formation pass. 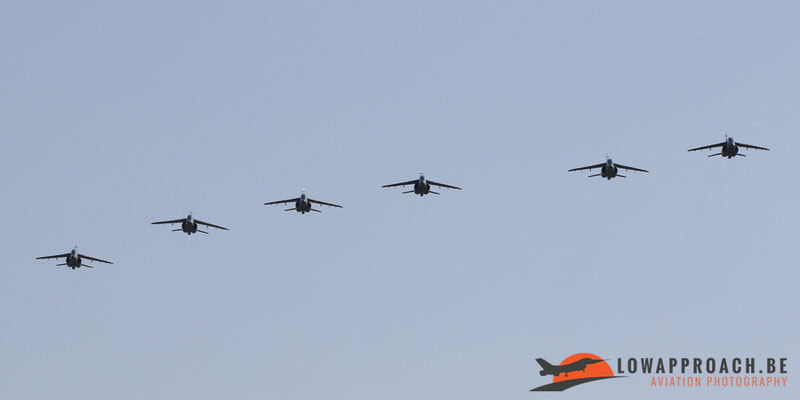 The following aircraft were noted during this flyby. 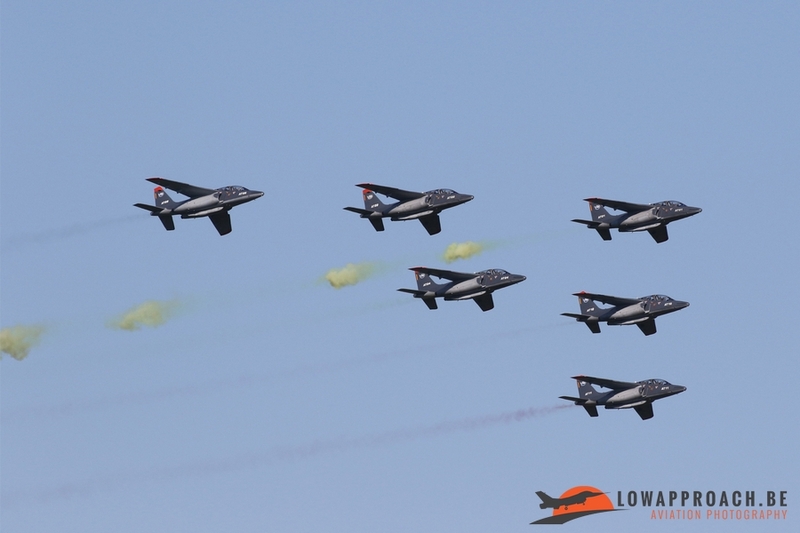 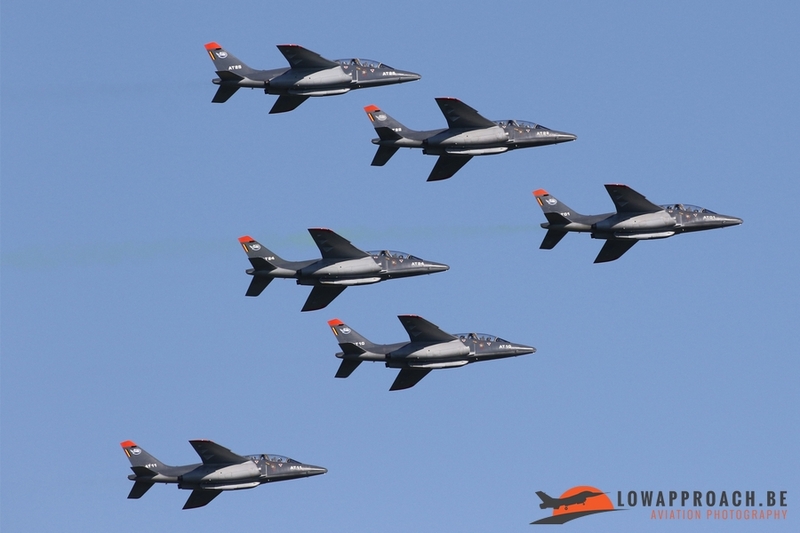 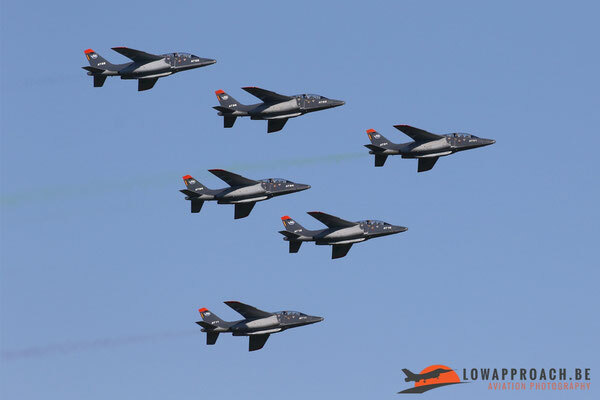 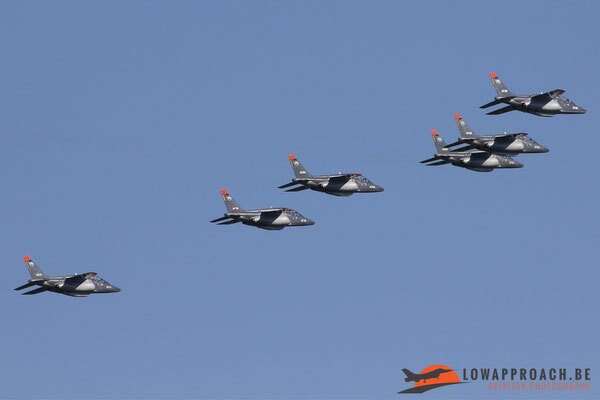 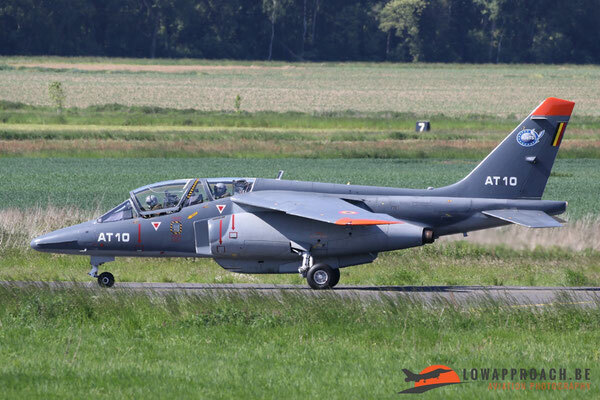 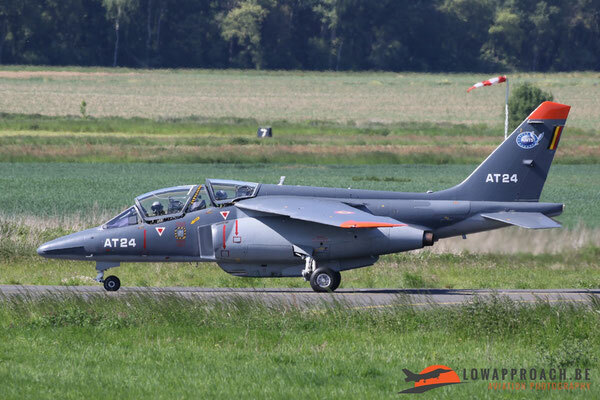 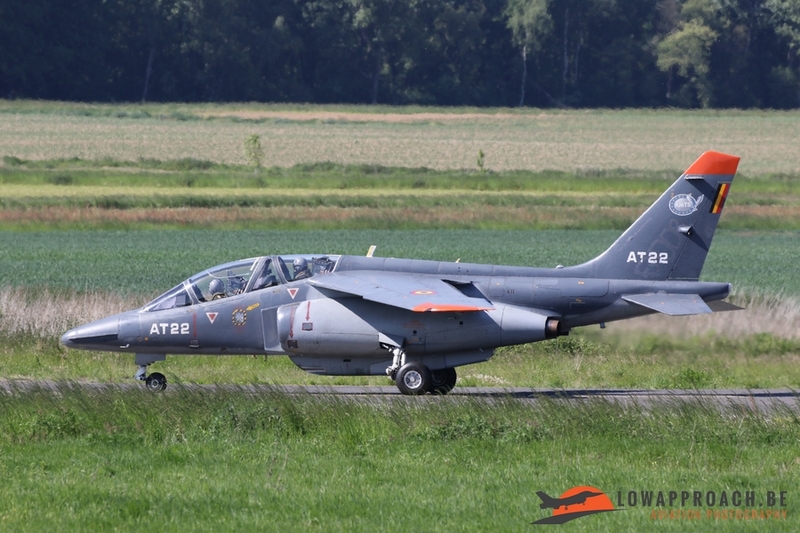 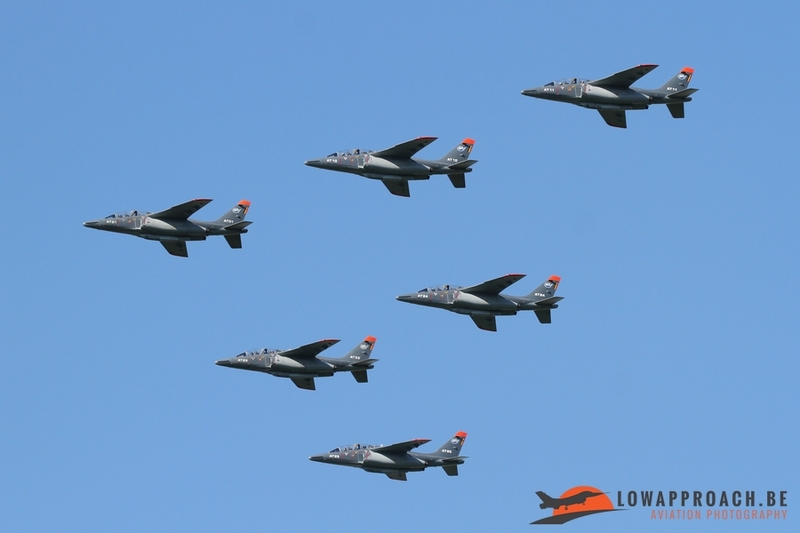 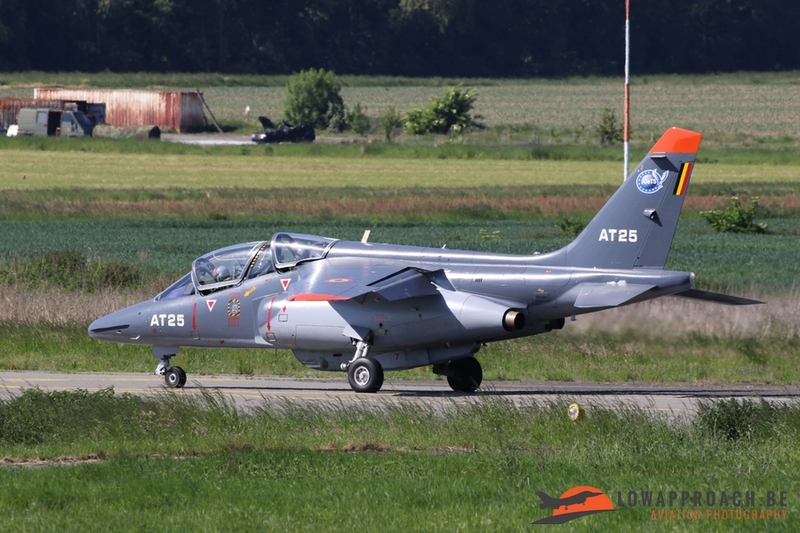 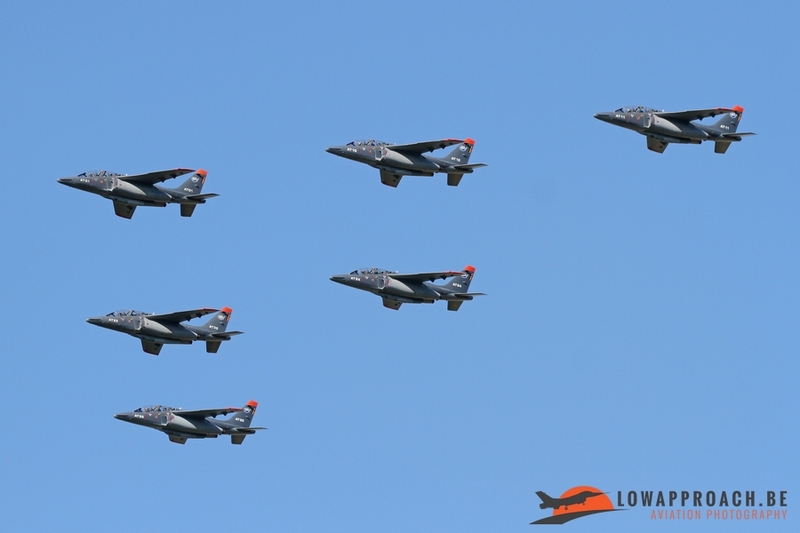 The last formation of Alpha Jets trailed smoke in the Belgian colors of the NATO building. 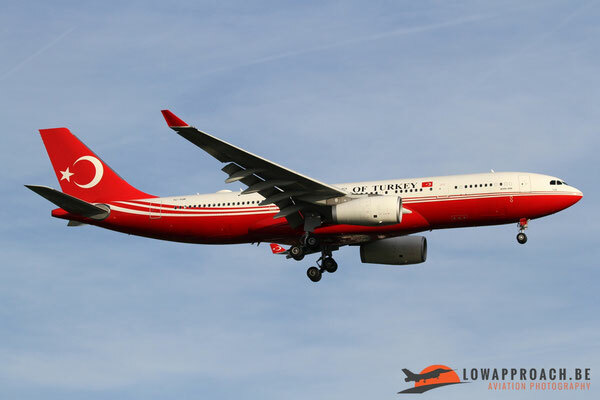 Unfortunately they only ignited the smoke after they had passed the spot were several spotters were present. 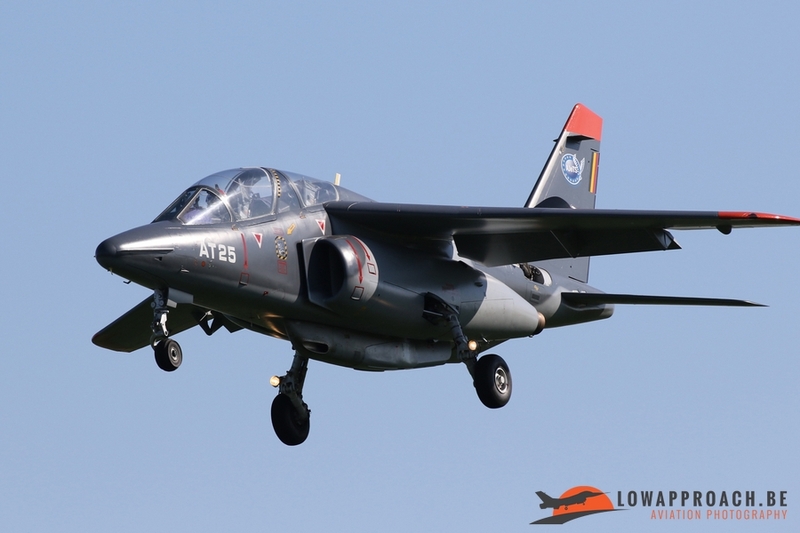 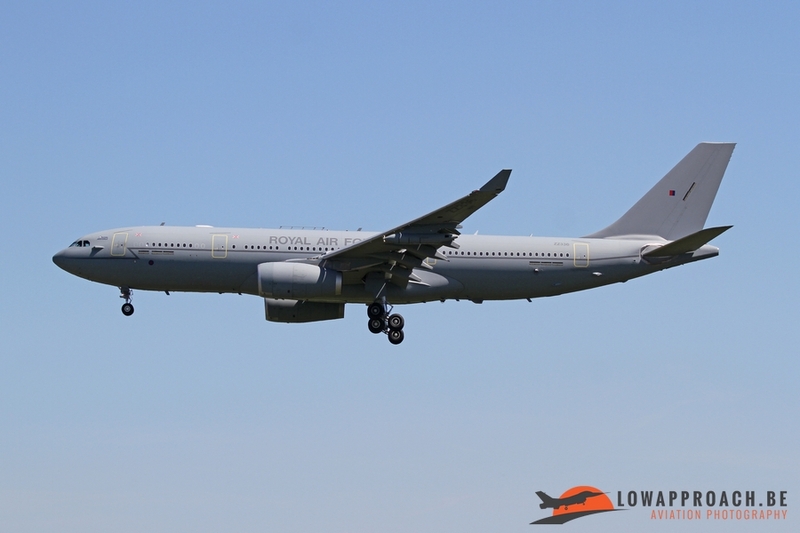 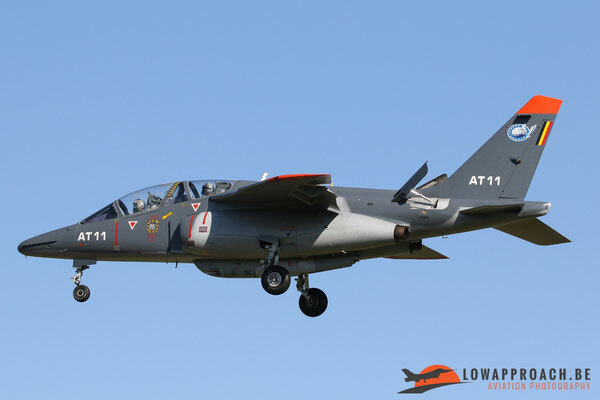 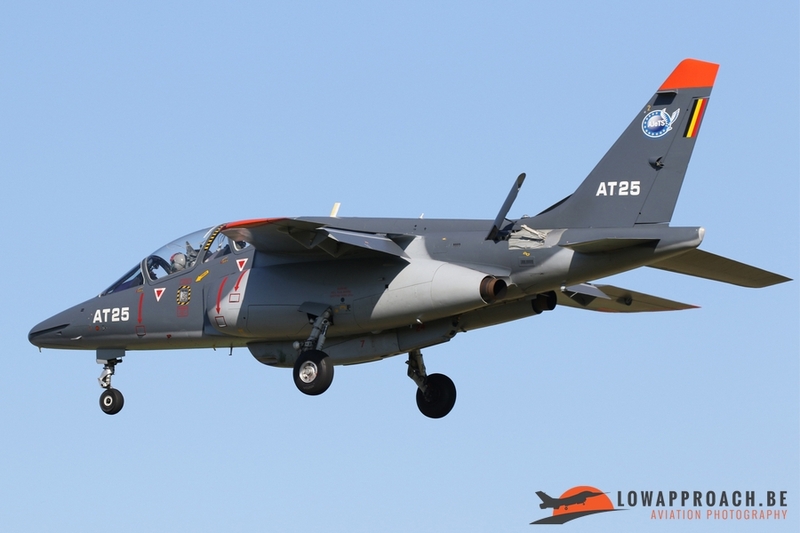 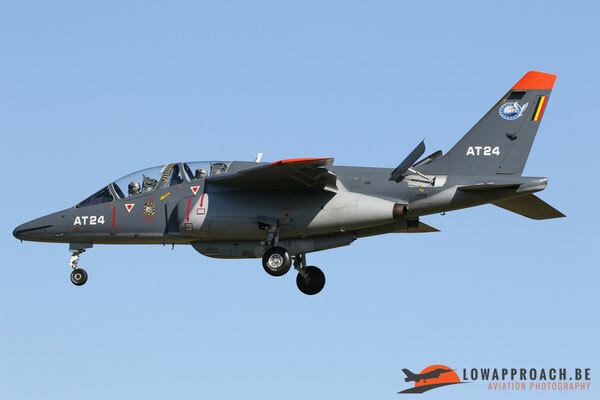 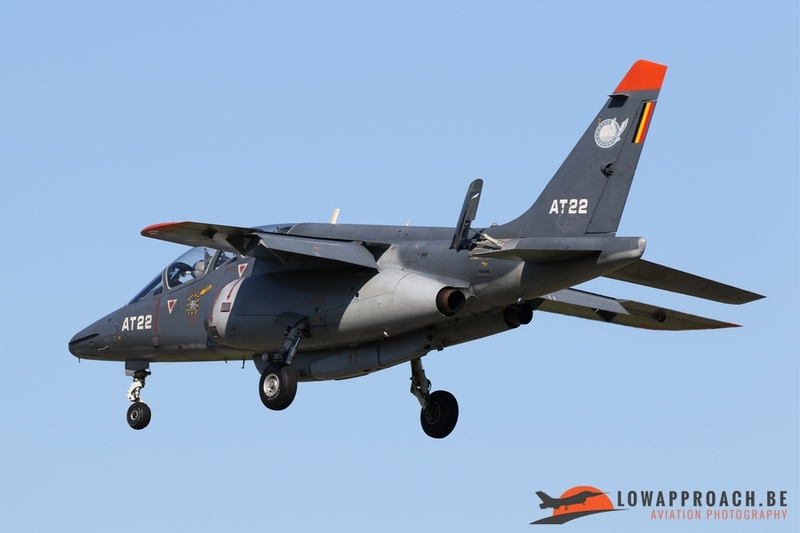 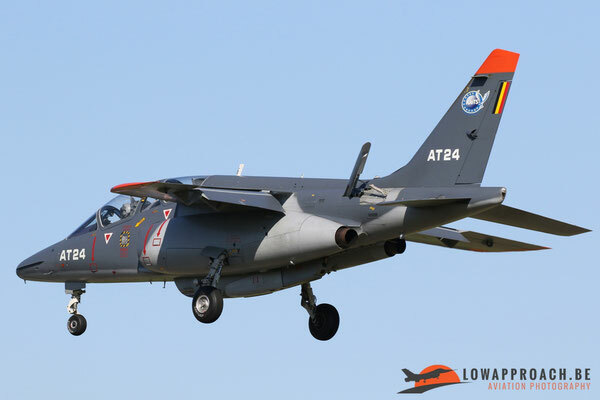 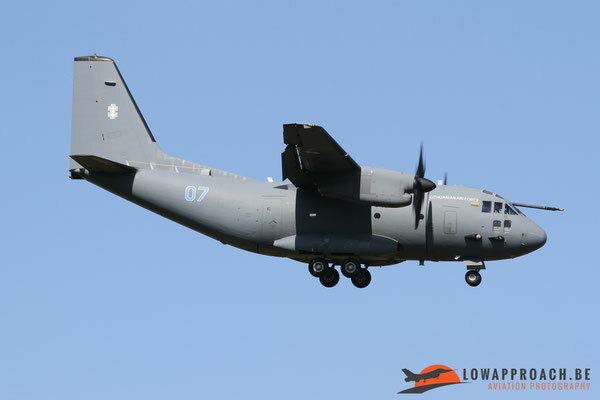 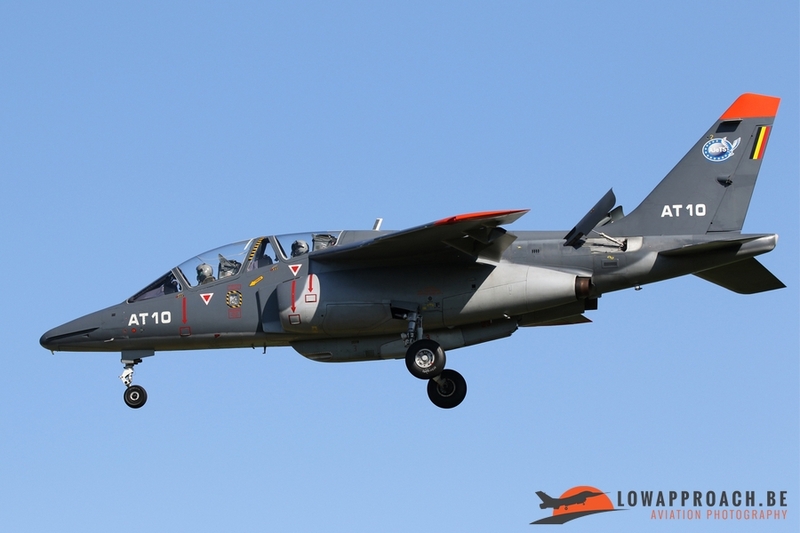 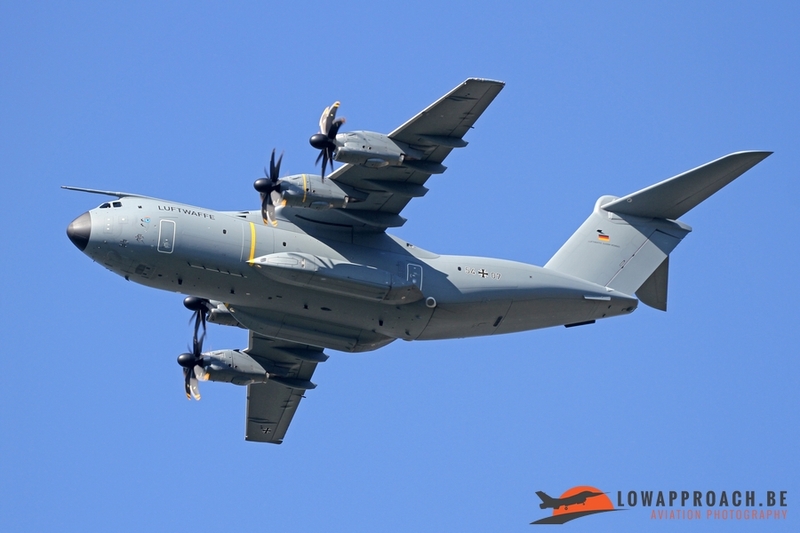 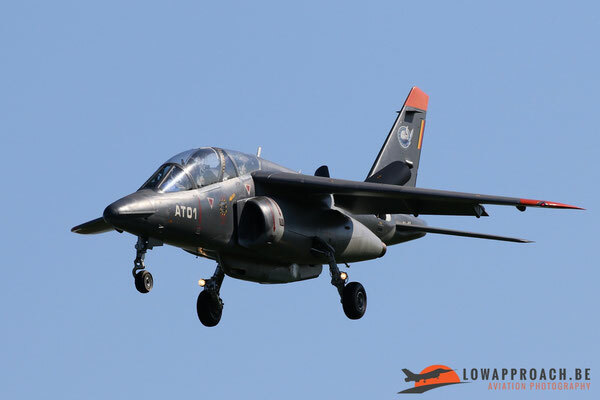 Some of the foreign aircraft flew directly from their respective homebases, but the aircraft with a smaller range were temporarily deployed to Florennes airbase in the South of Belgium. 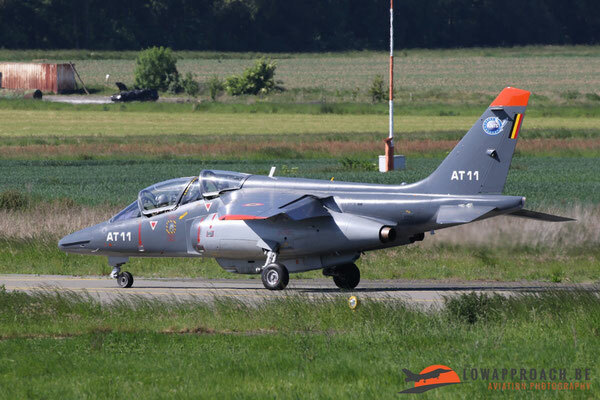 The Alpha Jets flew from Beauvechain were Edwin managed to capture some more action when they departed and landed. 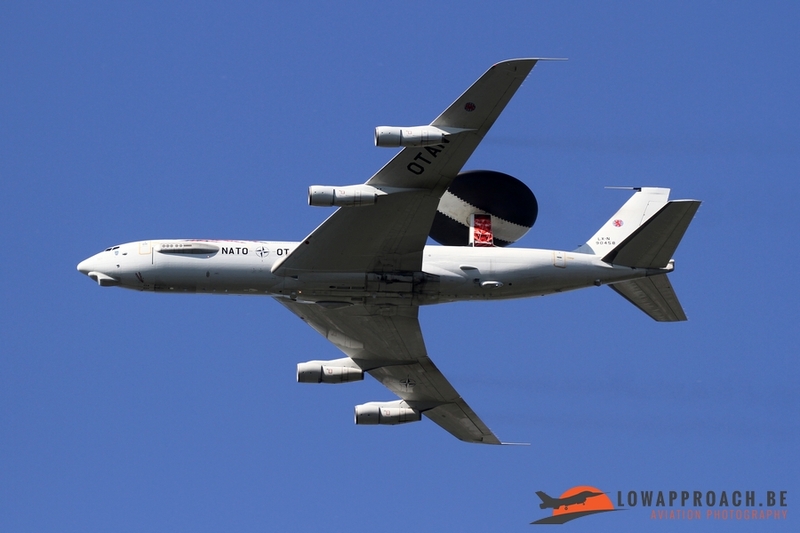 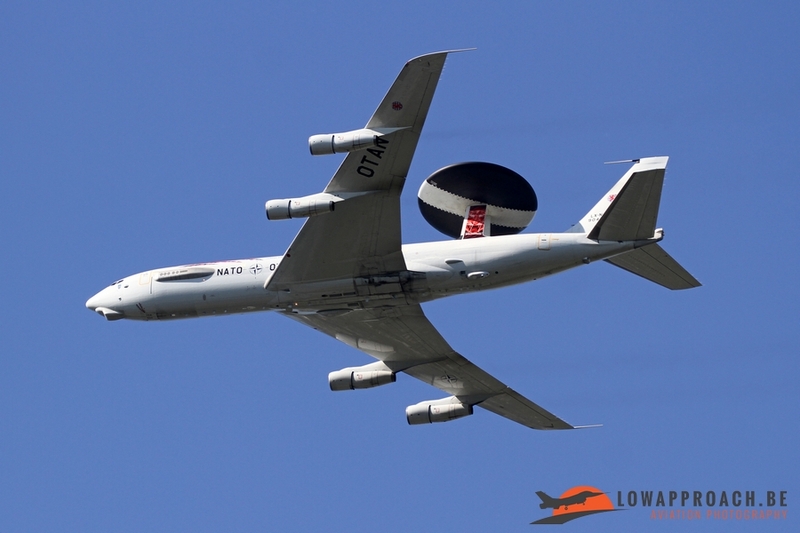 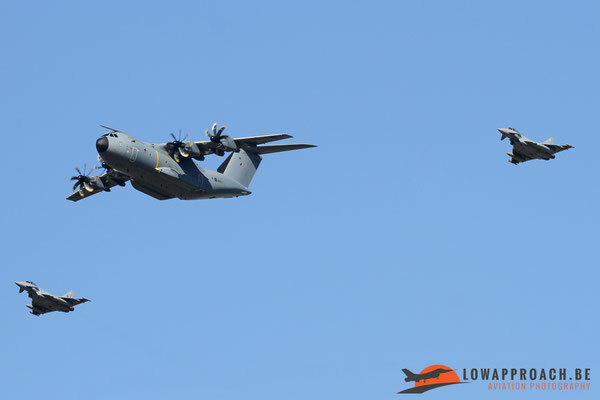 As you have noticed this NATO event did give the military spotters quite some opportunities in and around Brussels Airport. As these NATO summits are held on a regular basis I think it's surely worthwhile to spend some free time and try to capture these aircraft.